Andrew Adams (26:15) joins the Dogs to talk about his three-pick game and his unusual role in the Bucs' defense; meanwhile (37:48), Jeff Ryan and Scott Smith talk about building momentum and forbid one Buccaneer fan from watching this weekend's game. 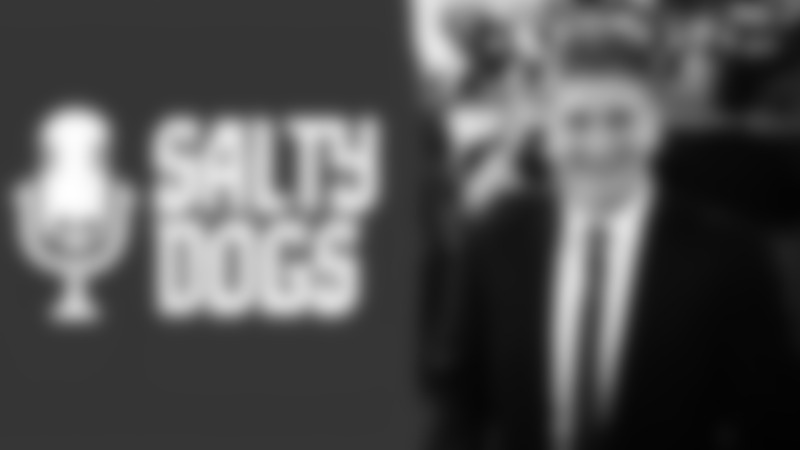 The Salty Dogs are back! In this episode, PewterReport.com's Trevor Sikkema (23:05) goes full draftnik, Jeff passes Scott's quiz on franchise tags, and a listener sends the dogs down memory lane in search of draft steals.  In this episode Jeff Ryan and Scott Smith speak to the newest Head Coach of the Buccaneers, Bruce Arians, about the three words that make up the culture of a team and some interesting nuggets about how the Bucs will practice. In this week's episode, special guest Alex Smith talks about reinventing himself in the NFL. Jeff Ryan discusses the etiquette of tipping waiters, and Scott Smith recalls some of the most random big games in team history. In this episode, Casey Phillips joins the Dogs (25:50) for a record-breaking second time and brings a soapbox with her, while Scott Smith and Jeff Ryan discuss the joy of a defensive struggle. On this week's episode, Scott Smith risks being the jinx on something good, Jeff Ryan ponders the value of misinformation and special guest rookie safety Jordan Whitehead talks about the Bucs finally getting takeaways. In this week’s episode, Scott suggests the Buccaneers take a strategic cue from the Milwaukee Brewers, and 22-year-old wideout Chris Godwin proves to be the most mature person in the room. 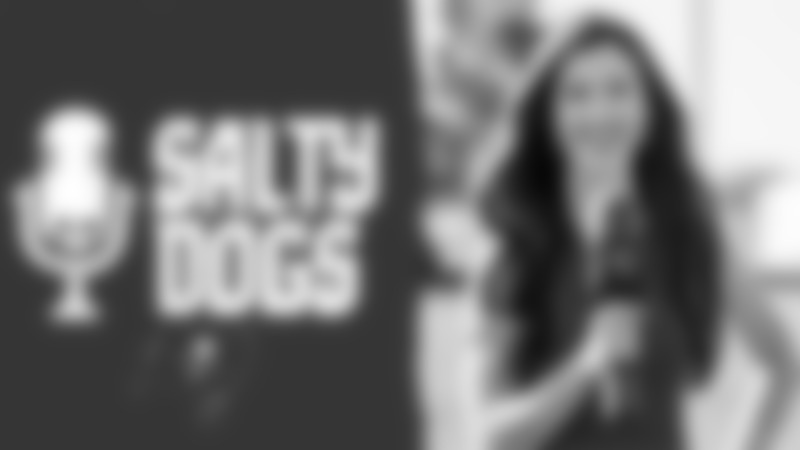 In this episode of the Salty Dogs, you are the “star” of the podcast, as Scott and Jeff answer your questions.  On this week's podcast, Jeff Ryan goads Scott Smith into a rant about reverses. 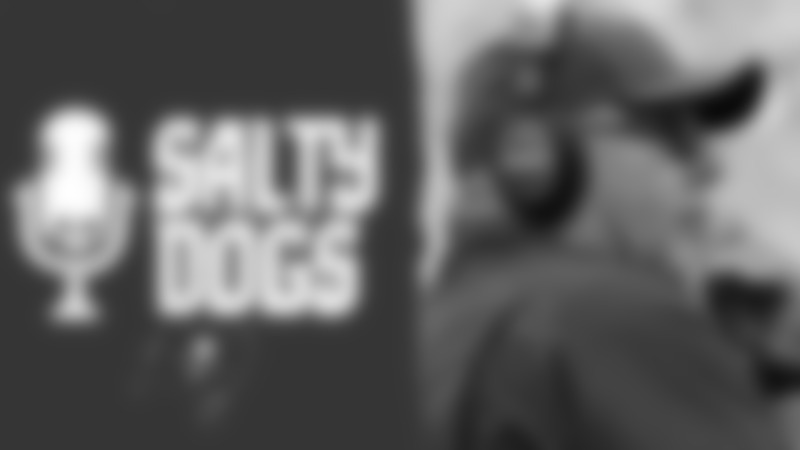 At 22:20, former Bucs LB Shelton Quarles tells the salty dogs how to handle being the building's grim reaper. At 37:28, your questions are answered, and Scott tries to end it with an inspirational story but fails to stick the landing. 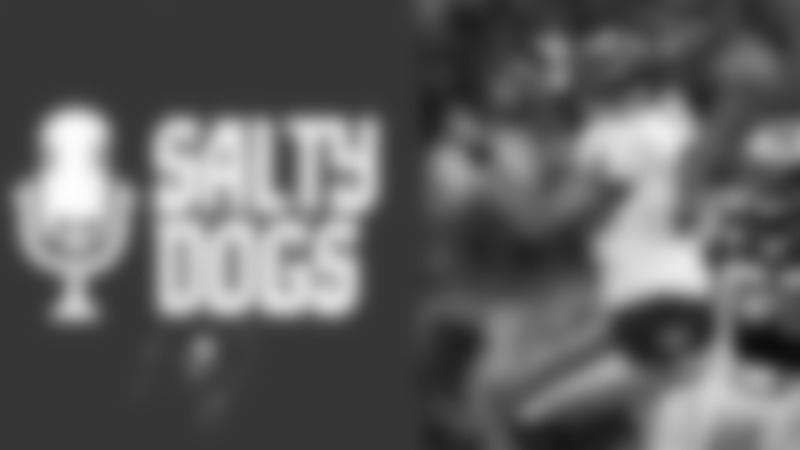 Bucs TE Cameron Brate joins the Salty Dogs this week on the podcast. They discuss sushi on airplanes, while Brate cracks the guys' good cop/bad cop routine at 19:20. Your questions are answered at the 40:56 mark, and Scott Smith closes it out with a rap. Buccaneers Staff Writer Carmen Vitali joins the Salty Dogs at 17:49 to discuss defensive improvements, Ronald Jones and Cardi B, and also to generally help Scott gang up on Jeff. The trio also gets a little salty about Monday Night Football. Your questions are answered at 40:26. Scott Smith, Jeff Ryan and Carmen Vitali talk about the bye week. Kenny “The Shark” Gant joins at 22:08, and your questions get answered at 48:08. This week, Scott Smith and Jeff Ryan discuss the Bears game, what the loss means, as well as the bye week. Get your questions answered at 38:15. This week, Scott Smith and Jeff Ryan talk about Monday Night’s Steelers game. Karl “The Truth” Williams joins the guys at 24:21. Find out the real story about how Karl got the name “The Truth,” and your questions get answered at 44:19 in the podcast. This week, Scott Smith and Jeff Ryan react to the Buccaneers' 2-0 start to the 2018 season. Hall of Fame head coach, and newest member of the Buccaneers Ring of Honor, Tony Dungy joins the guys at 26:00, and your questions get answered at 40:45 in the podcast. This week, Scott Smith and Jeff Ryan recap the win in New Orleans and their experiences at the Superdome. Bucs team reporter Casey Phillips joins the guys at 21:58, and your questions get answered at 42:17 in the podcast. This week, Scott Smith and Jeff Ryan talk about roster moves to get to 53 players. Buccaneers legend Martin Gramatica joins the guys at 20:41, and your questions get answered at the 36:00 mark. This week, Scott Smith and Jeff Ryan discuss the rain-delayed Detroit game. Tackle Demar Dotson joins the guys at the 20:13 mark, and your questions get answered at the 40:29 mark. Senior Writer/Editor Scott Smith and Director of Broadcast Operations Jeff Ryan bring you all things Buccaneers. Senior Writer/Editor Scott Smith and Director of Broadcast Operations Jeff Ryan bring you all things Buccaneers! Nothing But Bucs Podcast - Bruce Arians is Hired!